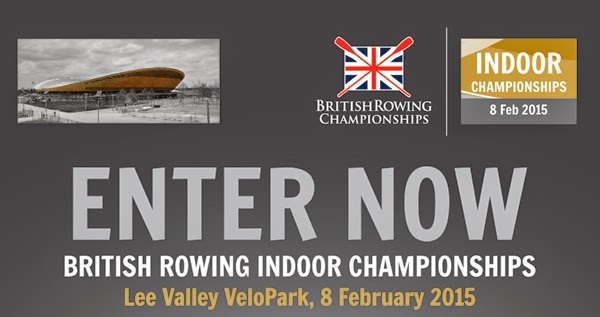 If you want to enter the 2015 British Rowing Indoor Championships the last entry is 10am on Monday 2nd February. I have been to a variety of Indoor Rowing Championships over the past seven years and they are certainly worth the pain and hours of training when you finish that 2k race - no matter what time you achieve. It really is true when they say it's the taking part that counts.... Obviously if you get a medal, now that's a different story! Have any of you signed up for this event? I will not be able to make it this year due to my pretty full commitments with the on-going house renovation but I aim to attend in the 2016 season.